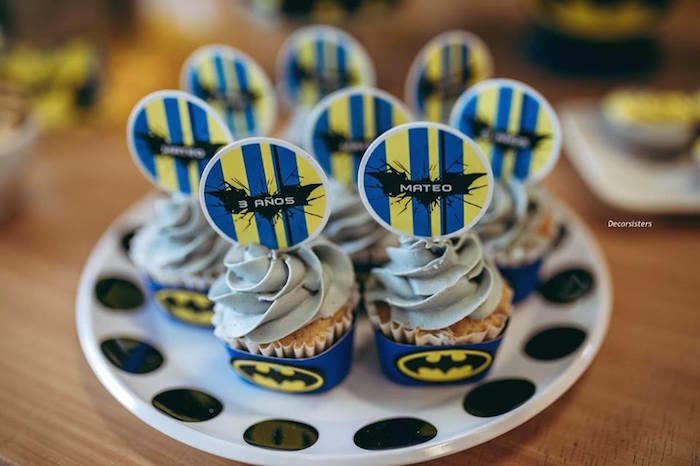 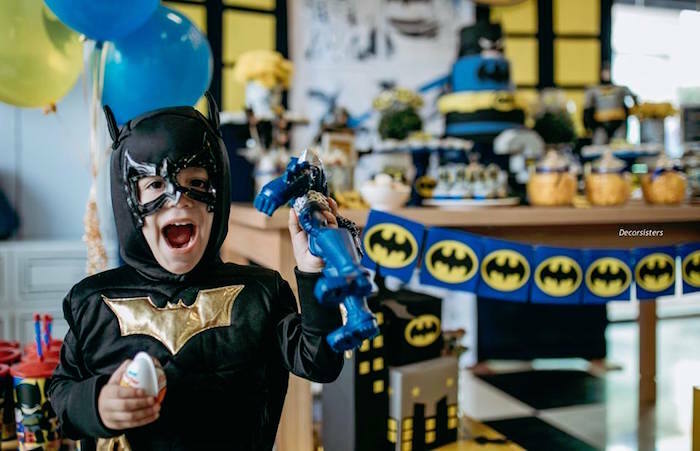 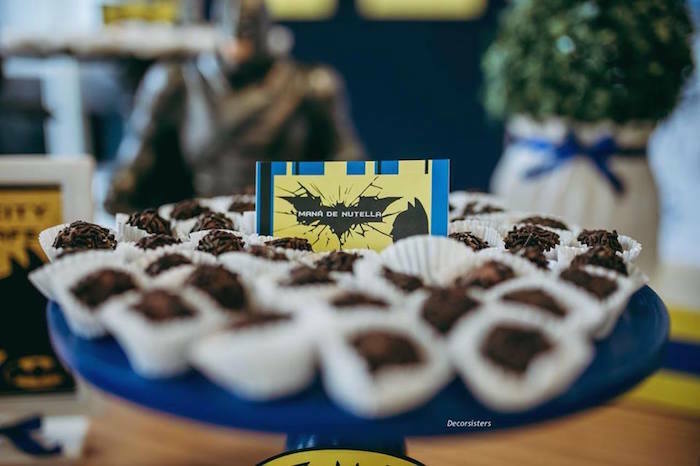 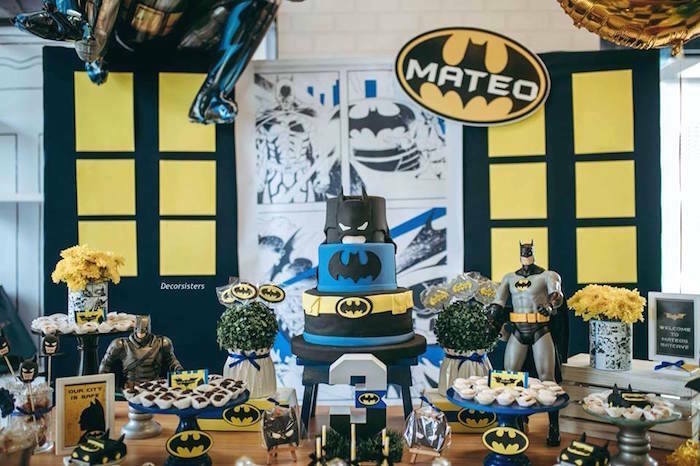 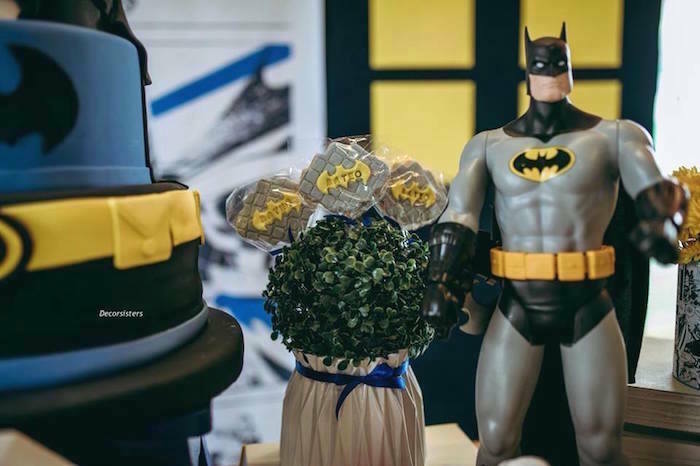 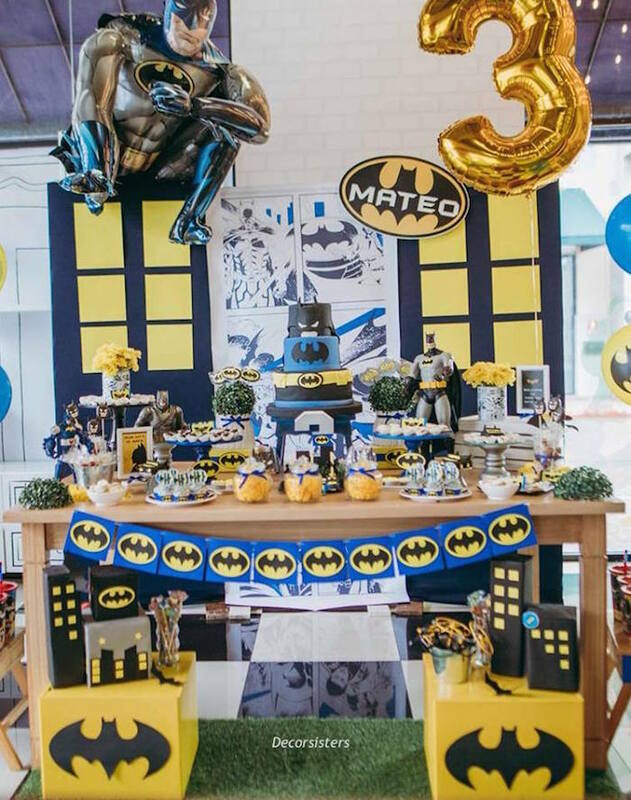 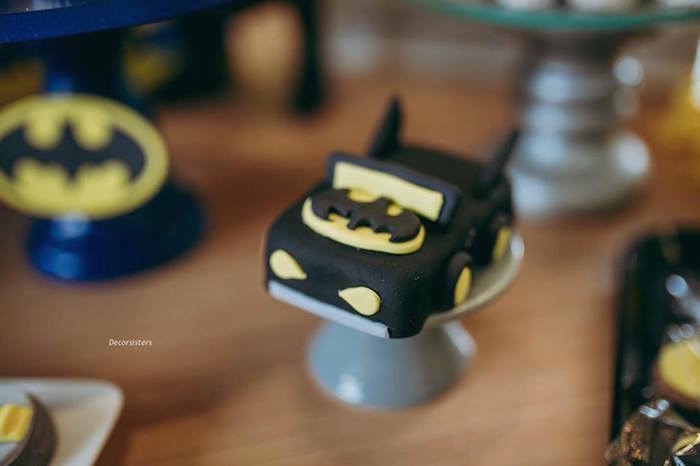 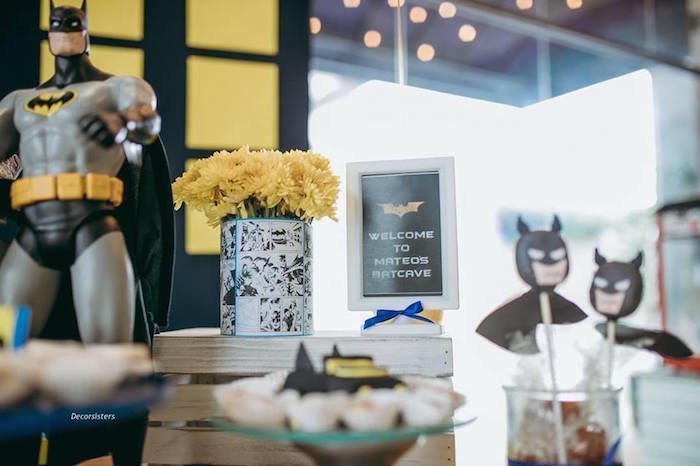 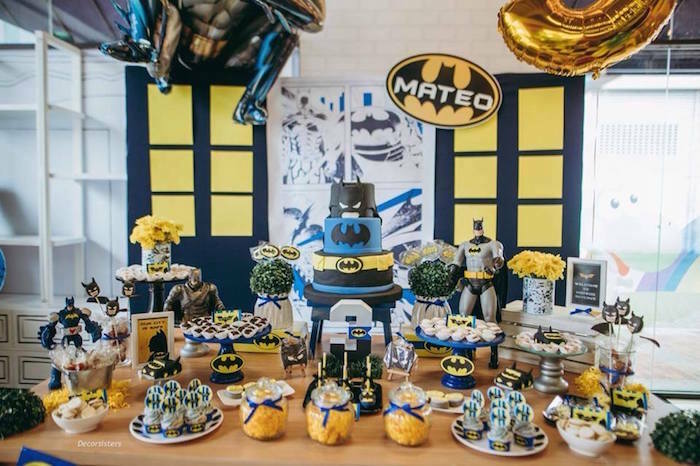 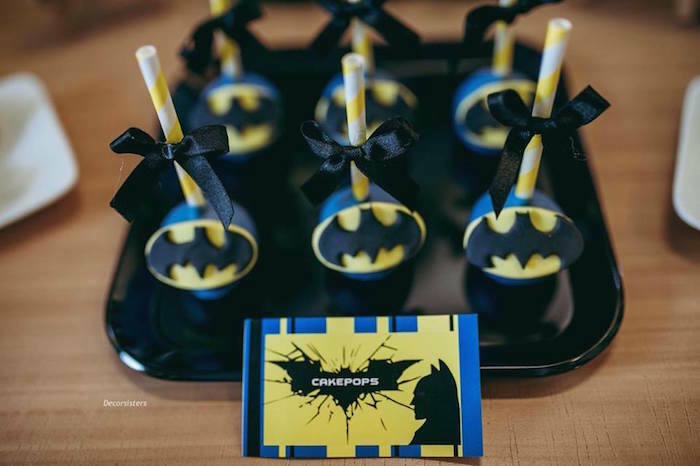 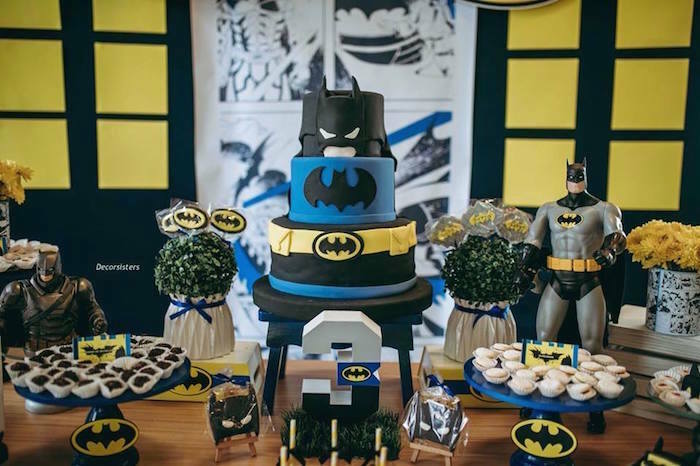 Black, blues and yellows too, this Batman Birthday Party by Gabriela and Carmen Saltos of Decorsisters, out of Ecuador, is super cool! 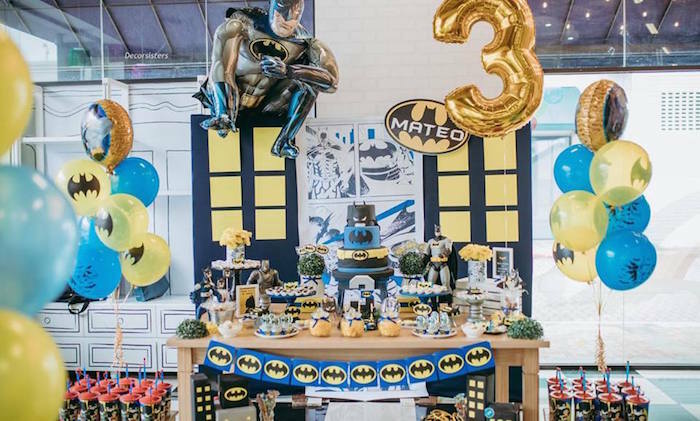 Filled with custom decor and amazing sweets, this birthday bash, can’t be beat! 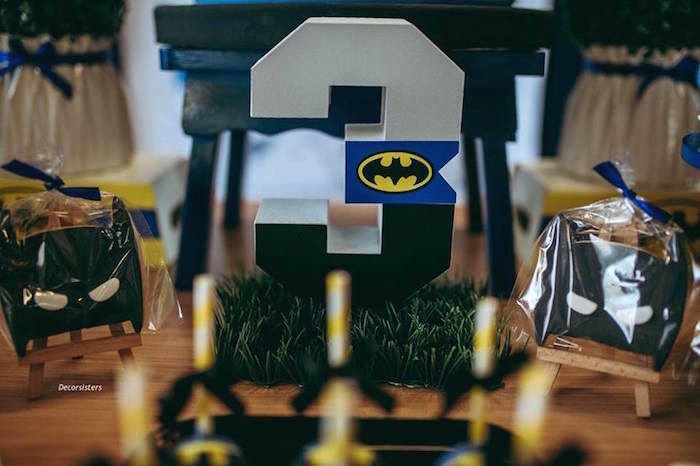 And awesome Batman Party Signage! 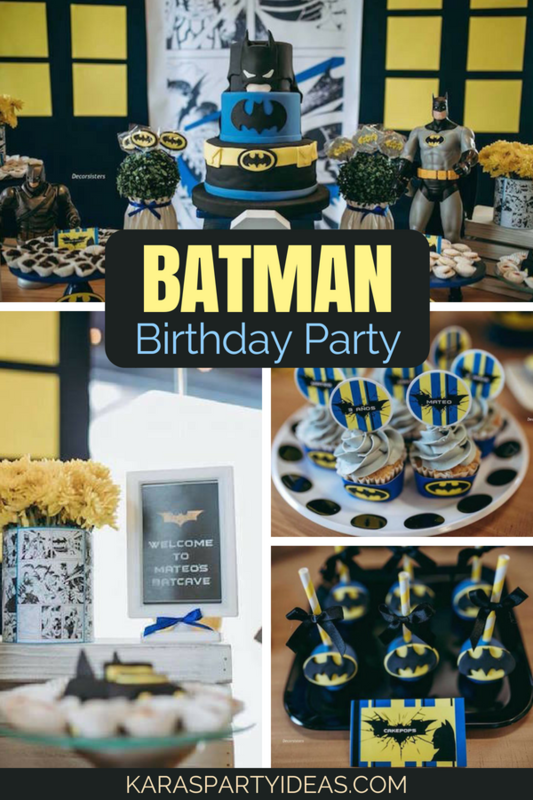 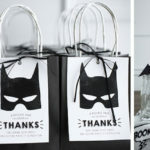 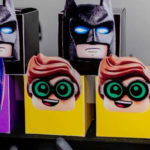 Click here for more Batman party ideas!